The New York State legislature built on the state’s 2013 gun control laws Tuesday, and are passing measures to extend the waiting period for background checks for some purchasers, and forbidding teachers from bringing guns to school. In the Senate, Republican Senators objected to the ban on teachers carrying weapons. 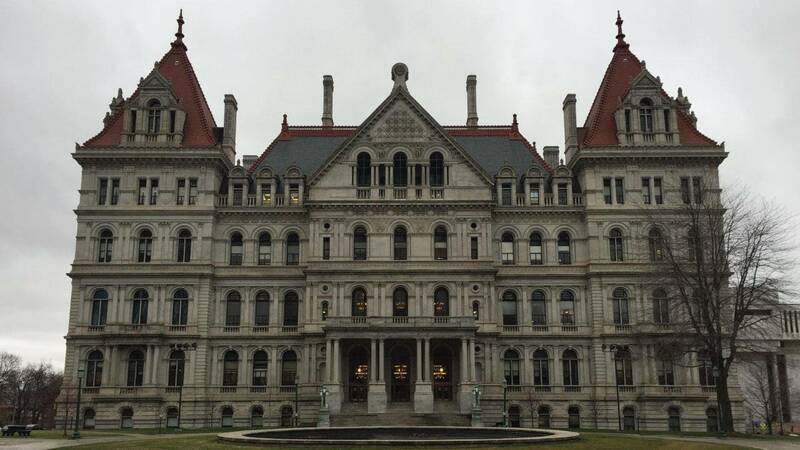 Senator Andrew Lanza says the bill restricts local control of schools and the Second Amendment rights of New Yorkers. And he calls the bill a “red herring”, that won’t keep school children safe. Nearly all of the 23 GOP Senators voted against many of the gun control measures. Although ten Republican Senators did vote in favor a measure to aid gun buyback programs. Governor Andrew Cuomo, who championed the 2013 gun control laws known as the SAFE Act, and convinced the then-Republican-led State Senate to pass it, met with victims of gun violence before the vote. Cuomo appealed to opponents of the bills, saying the measures don’t impinge on the second amendment. “We have six years of history to show that the planet does not stop spinning, people don't lose guns, it doesn't bankrupt an industry. None of those myths that they scare you with come true,” Cuomo said. “ They're just common-sense reforms”. Legislative leaders say they are still vetting more gun control legislation. The bills include including a ban on guns manufactured in 3-D printers and a law that requires guns to be stored in a secure location. “This is not an every six-year exercise,” Stewart- Cousins said.